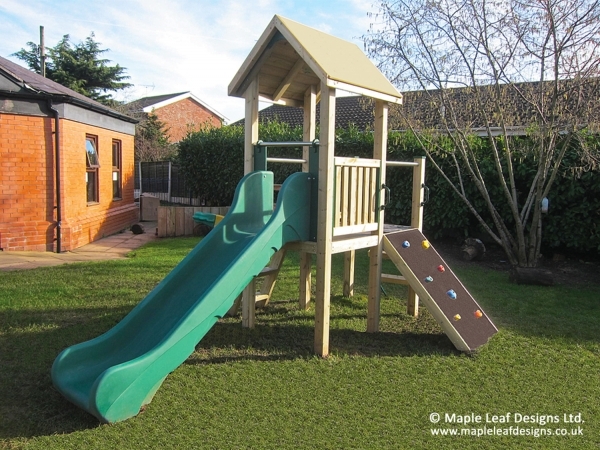 Wildwood Play Tower | Wildwood Range - Maple Leaf Designs Ltd.
Our standard Wildwood Play Tower is a splendid example of clean design and classic features. As with the rest of the Wildwood range its full wood construction makes it a great choice for those looking to add fun play elements to their playground without compromising the more reserved natural look of the area. It’s a time-tested design that’s proven very popular over the years for its simplicity and sturdiness.